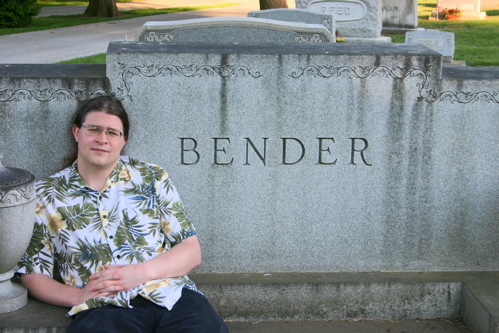 Photo of me at a grave in a Gettysburg cemetary (no relation). Welcome to the website of Rob Bender. I am a website developer living near Philadelphia, PA.
For a list of web sites that I have worked on, see my Web Design page. For other programming work I have done, look at the Projects section. Check out my photography in my Photo Gallery or my new photo log, Future Nostalgia.